1) Clearance inventory is a sign of a healthy retail store that is willing to take risks by introducing new products, brands, and styles. Great! We encourage stores to push the limits and test out new merchandise that may appeal to their existing customer base, or work to attract a new audience. When testing new product, there will always be a learning curve, so you can expect to have some winners and some losers. For the losers, it's best to quickly put them through your markdown cadence, recover your cash, and move forward. 2) Clearance items bring new traffic into my store and drive additional purchases. 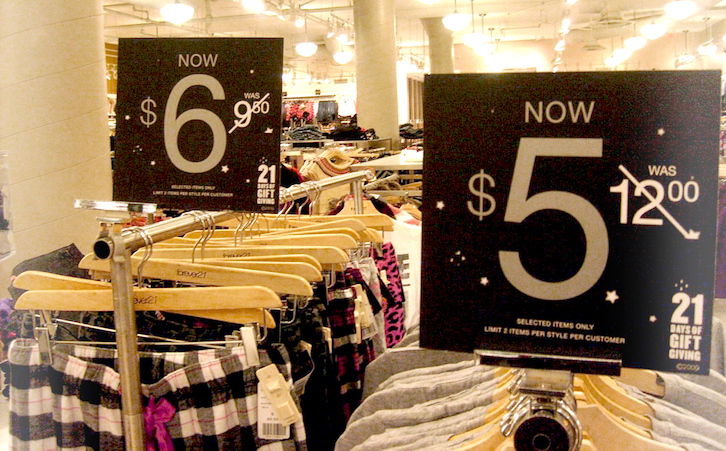 It's true - clearance racks are known for bringing bargain shoppers into your store. Unfortunately, those bargain shoppers will rarely ever convert into buyers of your full-price items. 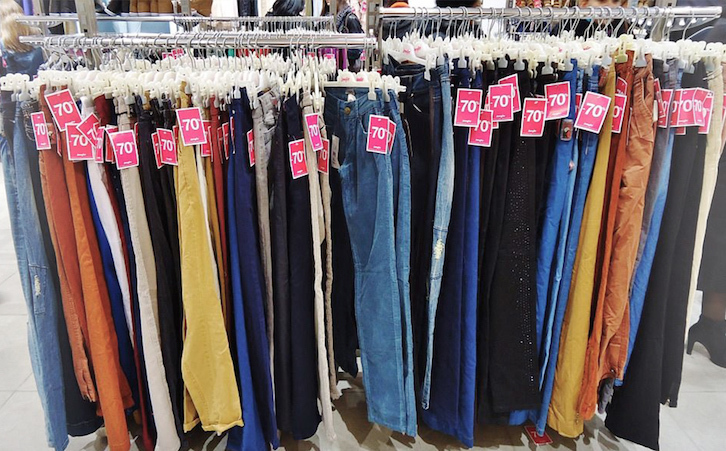 Instead of keeping a clearance rack well-stocked to attract a one-time buyer, continue with your markdown cadence or consider other options for selling your clearance product. Be cautious of the clearance customer. 3) You can never have too much clearance inventory. Just plain false. You can have too much clearance inventory. And many stores do. The right amount of clearance inventory will vary by type of industry and fluctuate with seasonality. In general, only 8-15% of your inventory should be clearance merchandise. If you are holding more than 15% of your store's merchandise on the clearance rack, some of it needs to go. It's tying up too much cash and hurting your ability to purchase new, better performing inventory. Keep in mind that you should consider inventory levels by department. 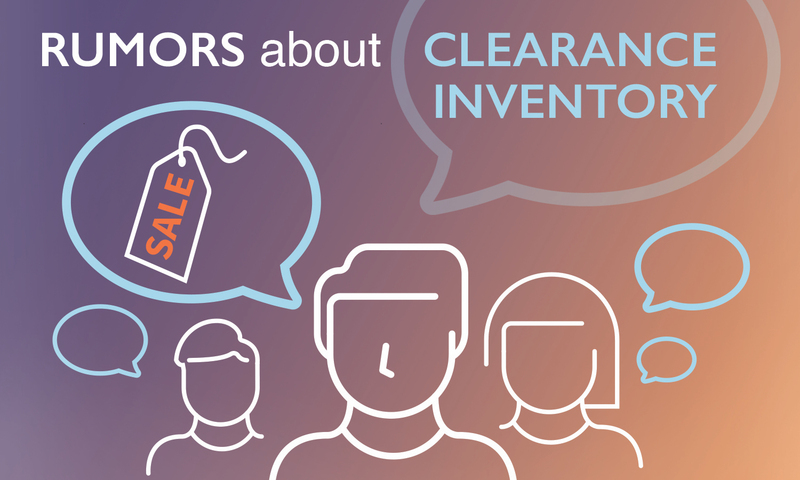 A high-level view may show a healthy amount of clearance inventory, but a closer look at the data may identify departments that have too much clearance merchandise. 4) My clearance rack is the end of the line and everything I mark down sells quickly. We hope everything you mark down sells quickly, but this is not always the case. Once items hit your clearance rack, they are often out of sight and out of mind. Take a stroll around your clearance racks for a quick review - do you have any items that have been on there for more than 2 months? If so, you may need to adjust your definition of what it means to sell quickly. Some experts believe discounted merchandise needs to be out of your store within 2 weeks of the initial markdown! 5) If a product isn't selling, the only option is to put it on the clearance rack. Definitely false. When a product isn't selling, clearance racks are only one of several options. You can find a few of our favorites here. Don't be afraid to get creative and try something new. But whatever you do, don't hold on to underperforming inventory too long. 6) Clearance racks don't hurt the sale of full-priced items. This one is debatable. It depends on several factors, including the industry, price differentials, trends, and more. But we do know that a large segment of your customers are willing to purchase a slightly older model at a deep discount. That means you'll likely lose some full-price sales to your clearance rack. To prevent missing out on full-price sales, we recommend keeping an aggressive mark-down cadence to move clearance items quickly. Position your clearance items in a physical location that does not allow customers to easily compare discounted items and full-price items, side-by-side. What if your inventory turn is great and you don't need a clearance rack? Well, hats off to you! If your inventory turns fast enough that you don't need a clearance rack, we applaud you! In the spirit of continuously improving your sales, we challenge you to take a good, long look at the bottom 20% of your inventory. By definition, your bottom 20% of inventory isn't going to turn as quickly as the top 80%. Would selling off some of these underperformers free up cash so you could invest in higher-margin products?